A plate pack heat exchanger dissolves sugar and hydrates the starch. The product passes to a jet cooker which subjects the flow of candy to a sudden drop in pressure. Syrup is deposited at final moisture into silicone or metal moulds, then cooled. Products are deposited at final solids, so no drying is required. 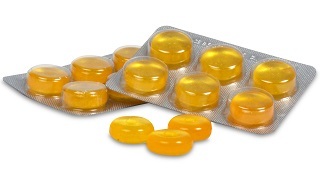 3D jellies are deposited into clip-in moulds that allow rapid, low-cost product changes. 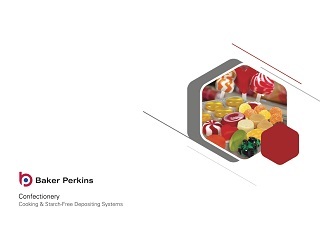 Baker Perkins' starch-free systems for the production of jellies and gummies deposit high-solids syrup into silicone rubber, plastic or metal moulds rather than starch moulds. No starch is required anywhere on the line and drying time is significantly shorter or eliminated altogether. Capital and running costs are substantially reduced as less floor space, drying capacity, energy, labour and consumables are required. Starch-free depositing is completely hygienic, with no cross-contamination risk from recycled starch or excessive cleaning of airborne dust. In addition, Baker Perkins' ServoForm™ depositors have a fully automatic wash-down function. 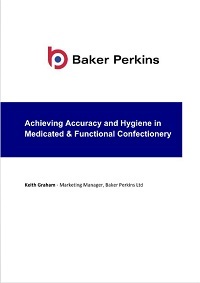 Baker Perkins has worked closely with ingredient suppliers to develop quick-setting formulations using high-performance gelling agents including pectin, gelatin and carrageenan. 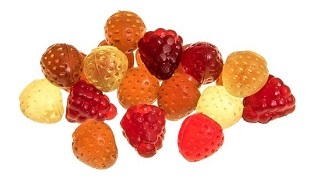 These enable confectioners to benefit from starch-free depositing across the full range of jelly and gummy textures. Products have excellent weight and dimensional accuracy, no shrinkage and enhanced definition for intricate shapes. Striped, layered and filled products are all possible and high levels of fruit pulp or pieces may be included. Moulds may be silicone rubber, metal or plastic with either mechanical or non-contact air ejection methods. The final choice depends on product characteristics and would normally be selected after testing in our Innovation Centre. Moulds can be supplied for conventional flat or contoured shapes as well high-value full-form 3D shapes. 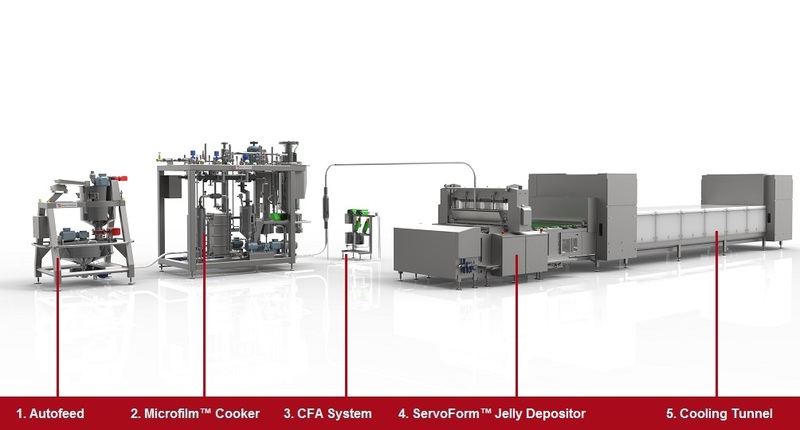 View some of the jelly and gum products that can be made on Baker Perkins' ServoForm™ process lines.